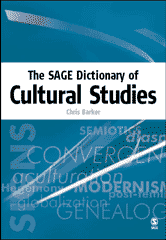 A guide to the terrain of cultural studies. The definitions are authoritative, stimulating and written in an accessible style. There are up-to-date entries on new concepts and innovative approaches.